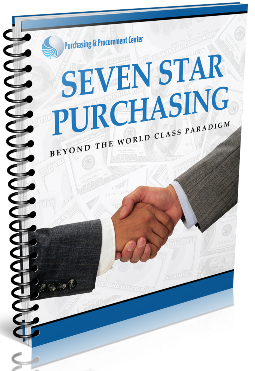 7 star purchasing report -The 7 Start Purchasing Report, shows you the 7 most important things you must do as a Purchasing & Procurement manager. to Succeed in Your Procurement Career. 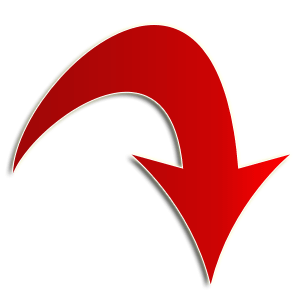 The 2 main problems that explain why CEO’s do not view purchasing function seriously! What are the 7 factors to consider when using cost-price analytics and techniques? What are the 4 levels of the supply base relationship? 25 Criteria to use based on the level of your supply relationships! What are the 4 Strategic categories in sourcing? What is The Matrix of Purchase Category Assessment Positioning Grid? What are the 5 areas you must consider every time in a negotiation process? Your Two-fold role as a purchasing professional, when creating contracts! Procurement's continued stride forward is evidenced by the fact that nearly a fifth of all Chief Purchasing/Procurement Officers (CPOs) now report directly to the president or CEO of their organization. More than ever before, purchasing managers are seen as needing an increasing array of tools and “best practices” that can be leveraged to reduce costs and increase procurement effectiveness. According to a study sponsored by KPMG International, Beyond Purchasing: Next Steps for the Procurement Profession, procurement management has taken on an increasingly strategic and important role at many companies, but in many respects still has a long way to go to reach maximum performance. The report, based on surveys of nearly 600 company executives from across the globe, was conducted by the Economist Intelligence Unit. A full 74% of respondents consider purchasing/procurement performance to be either “high” or “very high” on the corporate priority list. From my experience as we move into a new era of great expectations for the purchasing and supply management executive, each of the Seven Pitfalls in Purchasing Report will represent areas that need to be handled—and handled well—by tomorrow's purchasing and supply management functions. Keeping up with the fads simply won’t keep you competitive: Perfecting the basics will. Normally this report sells for USD 49.95. However for a limited time you can get it for free, since I want to educate the purchasing and procurement community on these important areas. More importantly we believe that we shall gain your trust about the procurement expertise we possess, and your business.